SAN SALVADOR, El Salvador - Eugenia Ávalos was crowned Miss International El Salvador 2014 at the Fepade Theater in San Salvador on September 27. She will represent El Salvador in Miss International 2015. 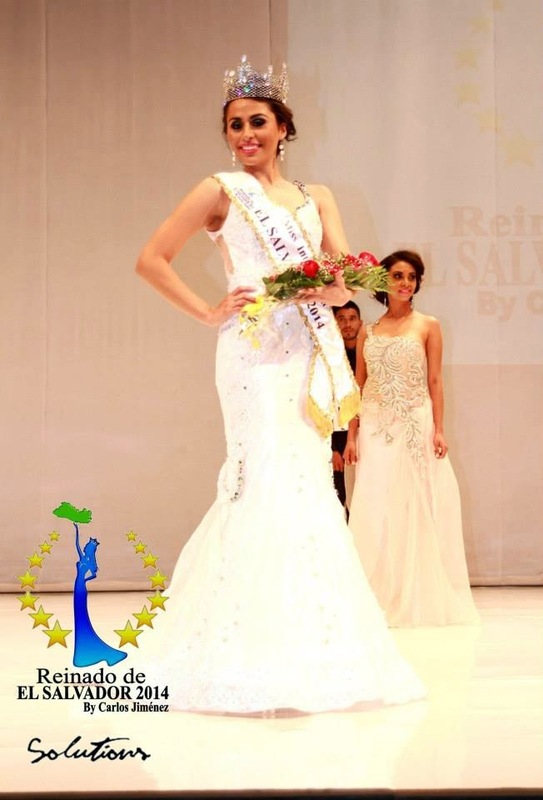 Verónica Olivares was crowned Miss Supranacional El Salvador 2014 at the same event. 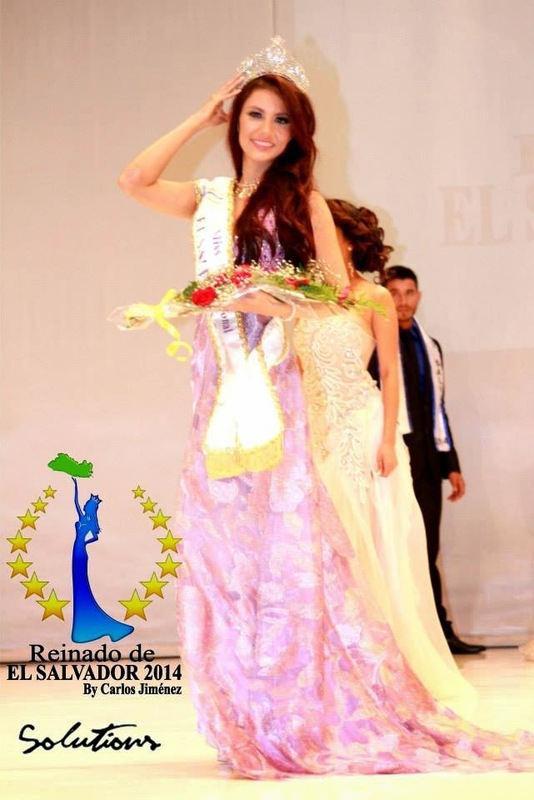 She will represent El Salvador in Miss Supranational 2015. 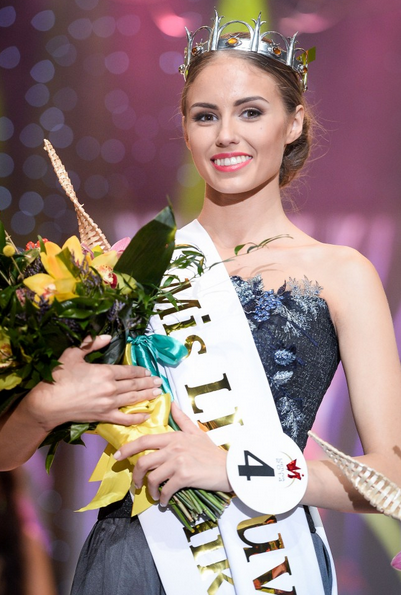 KĖDAINIAI, Lithuania - Agnė Kavaliauskaitė (21, Klaipėda) was crowned Mis Lietuva 2014 at the Kėdainių Arena in Kėdainiai on September 21. She will represent Lithuania in Miss World 2014 in London, England on December 14. The first runner-up was Patricija Belousova (18) and will represent Lithuania in Miss Universe 2014 in Miami, Florida on January 25, 2015. The second runner-up was Domantė Kelbauskaitė. 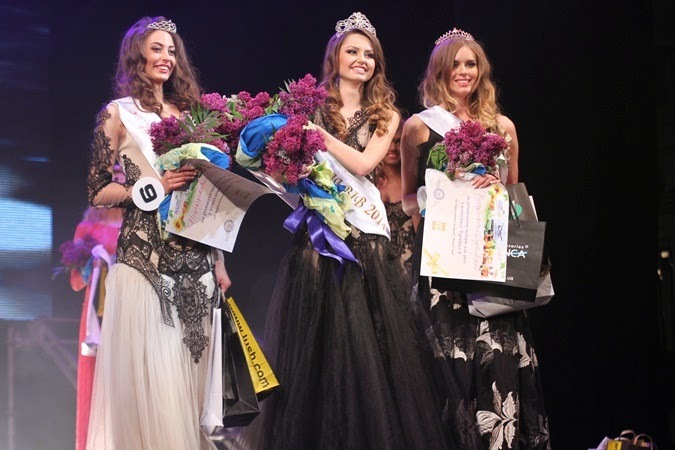 SARAJEVO, Bosnia and Herzegovina - Isidora Borovčanin (20, Pale) was crowned Miss Bosne i Hercegovine 2014 at the Terme Ilidža Hotel in Saravejo on September 21. She will represent Bosnia and Herzegovina in Miss World 2014 in London, England on December 14. Antonija Vučić was the first runner-up and Belma Ibrahimović was the second runner-up. 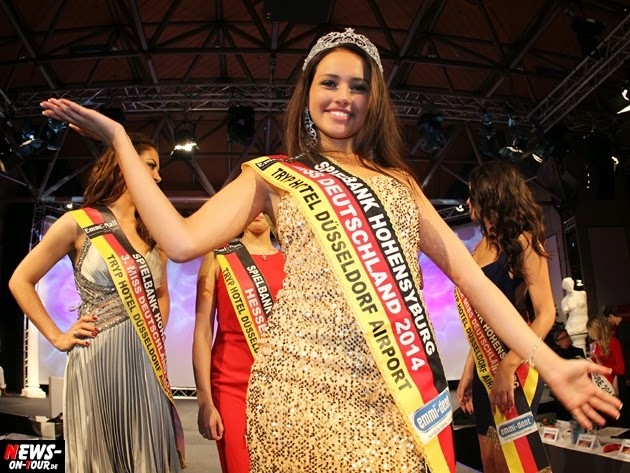 DORTMUND, Germany - Egzonita Ala (17) was crowned Miss Deutschland 2014 at the Hohensyburg Casino in Dortmund on September 20. She will represent Germany in Miss World 2014 in London, England on December 14. Fjollza Avdiu and Sabrina Nennemann finished in second and third place, respectively. ULAANBAATAR, Mongolia - Battsetseg Turbat (23, 1.78m) was crowned Miss World Mongolia 2014 at the State Academic Theater of Opera and Ballet of Mongolia in Ulaanbaatar on September 20. 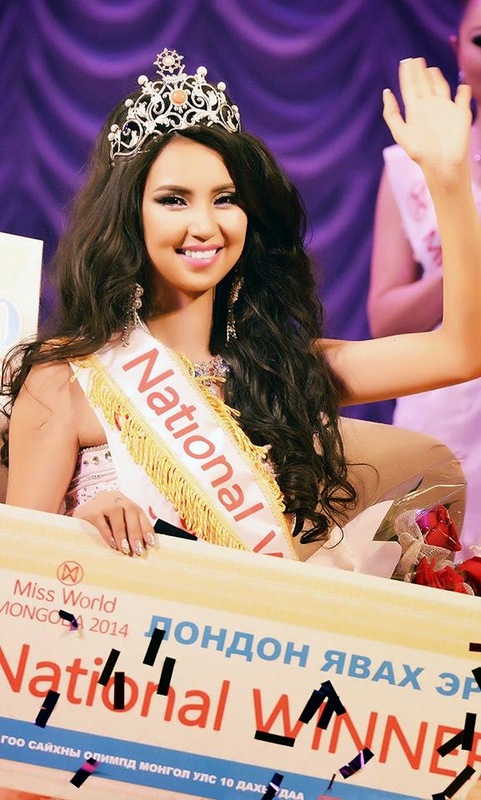 She will represent Mongolia in Miss World 2014 in London, England on December 14. Xhensila Pere (25, 1.72m) was appointed as the new Miss World Albania 2014 and will represent Albania in Miss World 2014 in London, England on December 14. SPLIT, Croatia - Antonija Gogić (23) was crowned Miss Hrvatske 2014 at the Diocletian's Palace in Split on September 18. She will represent Croatia in Miss World 2014 in London, England on December 14. Ivana Mandarić was the first runner-up and Hana Bašić was the second runner-up. AUCKLAND, New Zealand - Rachel Maree Millns (23) was crowned Miss Universe New Zealand 2014 at the SkyCity Theater in Auckland on September 18. She will represent New Zealand in Miss Universe 2014 in Miami, Florida on January 25, 2015. Monique Cooley and Becky Hingston finished in second and third place, respectively. KIEV, Ukraine - Andryana Khasanshyn (20, 1.77m, Lviv) was crowned Miss Ukraina 2014 at the Device Restaurant in Kiev on September 18. She will represent Ukraine in Miss World 2014 in London, England on December 14. 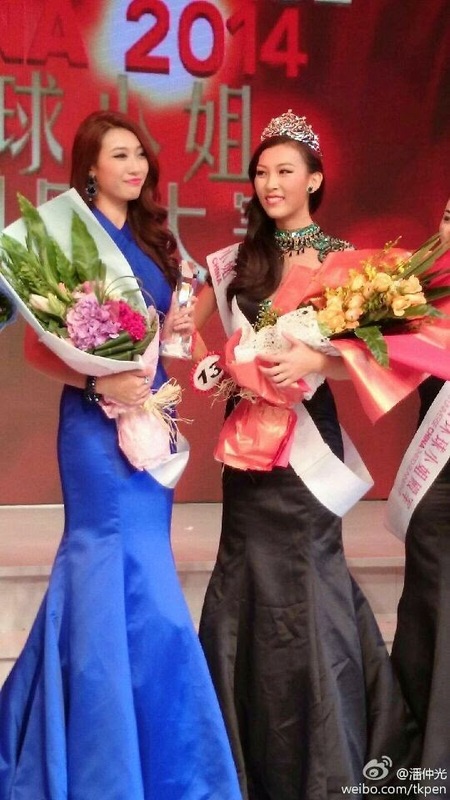 Alina Markauckayte was the first runner-up and Beatrice Mindak was the second runner-up. 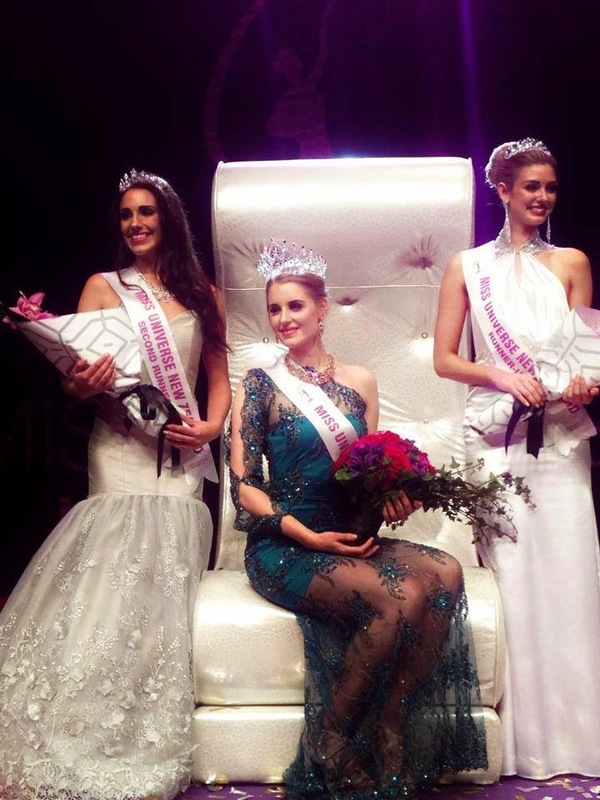 Jana Ravlikovskaya was chosen as Miss International Ukraine 2014 at the same event. BUDAPEST, Hungary - Henrietta Kelemen (20) was crowned Miss Universe Hungary 2014 at the Szinhaz Theater in Budapest on September 15. She will represent Hungary in Miss Universe 2014 in Miami, Florida on January 25, 2015. ASUNCION, Paraguay - Sally Luz Jara Davalos (20, 1.72m) was the grand winner of the Nuestra Belleza Paraguay 2014 pageant and was crowned Miss Universo Paraguay 2014 on September 13. She will represent Paraguay in Miss Universe 2014 in Miami, Florida on January 25, 2015. 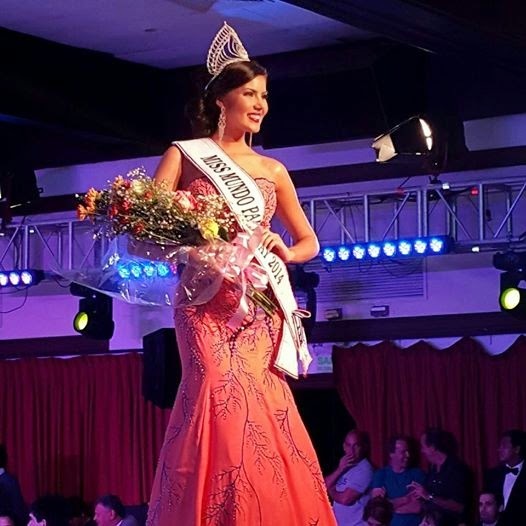 Myriam Carolina Arévalos Villalba (21, 1.83m) was crowned Miss Mundo Paraguay 2014 at the same event held at the Yacht and Golf Club Paraguayo in Asuncion. She will represent Paraguay in Miss World 2014 in London, England on December 14. Jéssica Servín was crowned Miss Internacional Paraguay 2014 and will compete in Miss International 2014. BENICÀSSIM, Valencia - Lourdes Rodríguez de Guzmán Ruiz de Pascual (20, 1.75m, Daimiel) was crowned Miss World Spain 2014 at the Pepe Falomir Almela Amphitheater in Benicàssim on September 13. She will represent Spain in Miss World 2014 in London, England on December 14. Lorena González was the first runner-up and Estefanía Martínez was the second runner-up. 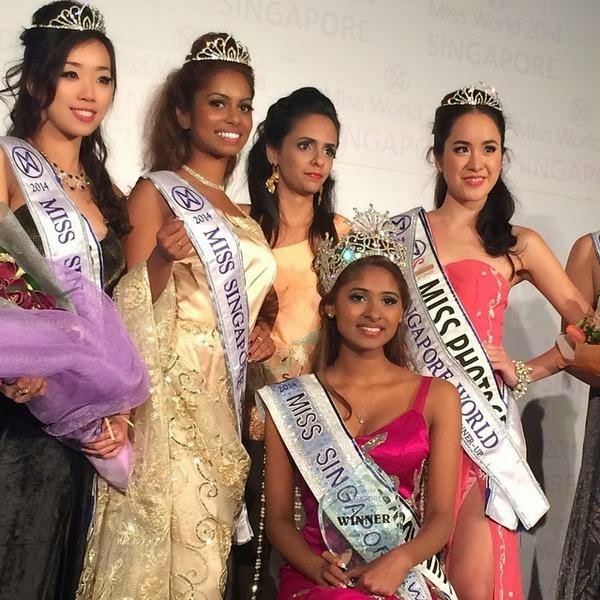 SINGAPORE - Dalreena Poonam Gill (20) was crowned Miss Singapore World 2014 at the One Farrer Hotel on September 13. She will represent Singapore in Miss World 2014 in London, England on December 14. Kimberly Lam and Louissa Lavnea Thomas finished in second and third place, respectively. SHANGHAI, China - Nora Xu (19, 1.78m, Leoyang) was crowned Miss Universe China 2014 at the Pudong Shangri-La Hotel in Shanghai on September 13. She will represent China in Miss Universe 2014 in Miami, Florida on January 25, 2015. 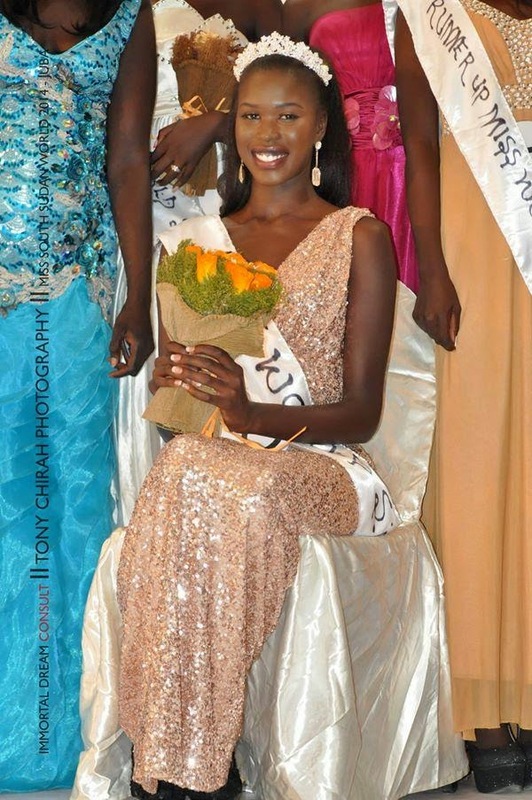 JUBA, South Sudan - Awien Bol Kuanyin Agoth (19) was crowned Miss World South Sudan 2014 at the Freedom Hall in Juba on September 12. She will represent South Sudan in Miss World 2014 in London, England on December 14. The first runner-up was Mariam Nyagach and the second runner-up was Salwa Ajuong. Yumara López (20) will represent Nicaragua in Miss World 2014 in London, England on December 14. She was the first runner-up of Miss Mundo Nicaragua 2014 held last year. The original winner resigned from her title due to personal reasons. LJUBLJANA, Slovenia - Julija Bizjak (20, 1.75m, Lesce) was crowned Miss Slovenije 2014 at the Atlantis Water Park in Ljubljana on September 11. She will represent Slovenia in Miss World 2014 in London, England on December 14. Anja Mihelič and Anja Kragelj finished in second and third place, respectively. 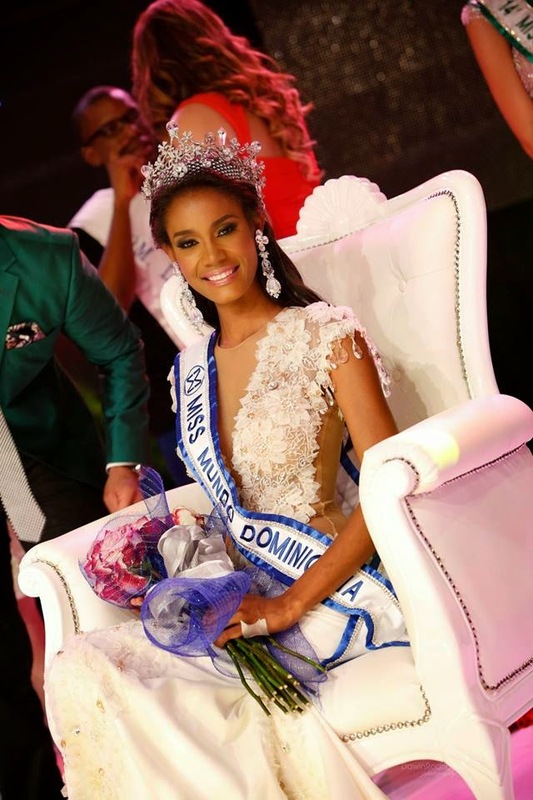 SANTO DOMINGO, Dominican Republic - Dhío Moreno Romero (24, 1.83m) was crowned Miss Mundo Dominicana 2014 at the Plaza Sambil in Santo Domingo on September 10. 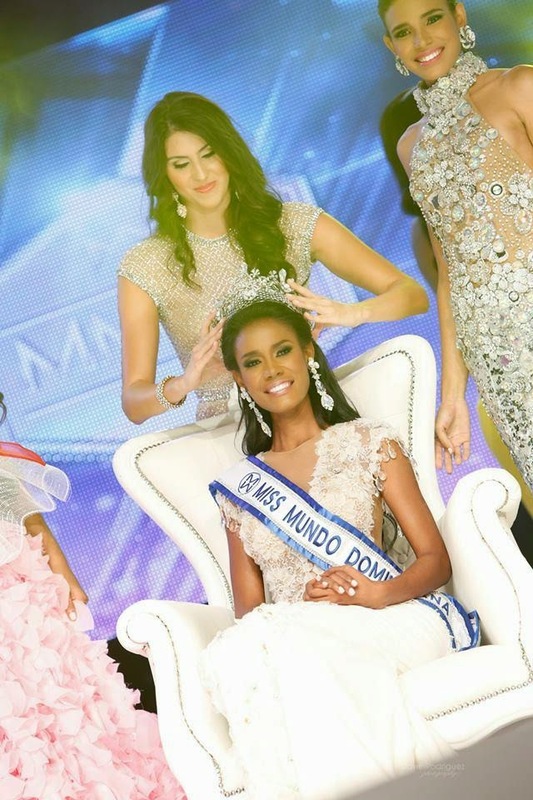 She will represent Dominican Republic in Miss World 2014 in London, England on December 14. Bárbara Santana finished in second place and will compete in Miss International 2014. Maité Brito finished in third place. BISHKEK, Kyrgyzstan - Aykol Alykzhanova (24) was the overall winner of the Miss Kyrgyzstan 2014 pageant and was crowned Miss World Kyrgyzstan 2014 at the Malachite Hall of Opera and Ballet in Bishkek on September 7. She is expected to represent Kyrgyzstan in Miss World 2014 in London, England on December 14. 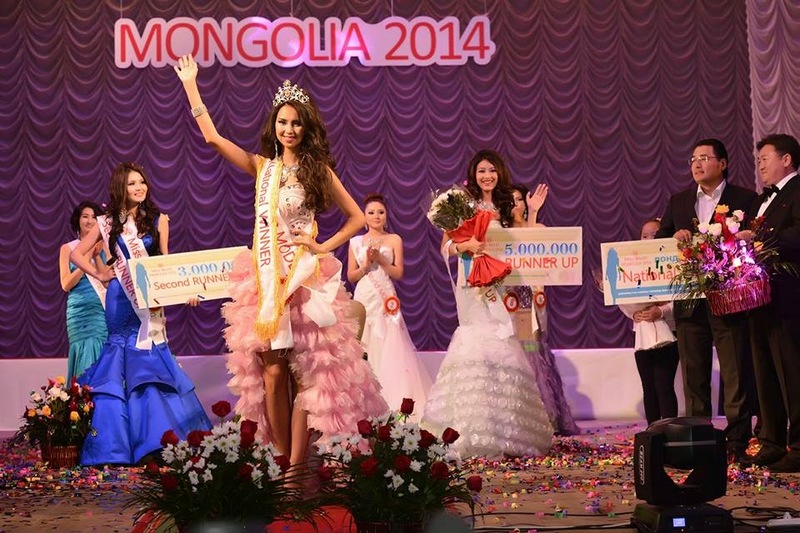 Tattuububu Ergeshbaeva finished in second place and will compete in Miss International 2014. Nguyễn Thị Loan was appointed as the new Miss World Vietnam 2014 and will represent Vietnam in Miss World 2014 in London, England on December 14. Her designation is due to the ongoing Miss World Vietnam pageant that will select Vietnam's representative to Miss World 2015. Miss Slovenije 2014 will be crowned on September 11. The winner will represent Slovenia in Miss World 2014. Meet the contestants competing for the title by clicking here. 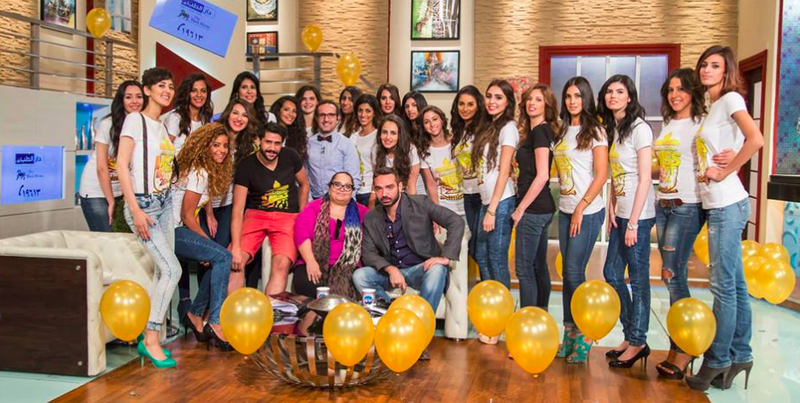 Miss Egypt 2014 will be held on September 23 in Sharm el-Sheikh. Egypt's representatives for Miss World 2014 and Miss Universe 2014 will be selected at the conclusion of the event. Meet the contestants by clicking here. Miss Cayman Islands 2015 will be held on January after a 4-year hiatus after the organizers were able to secure funding from the Ministry of Tourism of the territory. 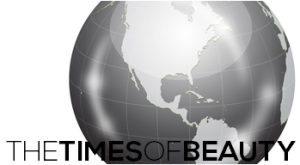 The winner will represent the Cayman Islands in Miss Universe 2015. 10 contestants are competing for the crown. Due to the current sociopolitical situation in Ukraine, the Miss Ukraine 2014 pageant will be carried out in a non-traditional format. The winner will be selected from a combination of a popular vote and the votes of a panel of judges. You can meet the contestants for Miss Ukraine 2014 by clicking here. The winner will compete in Miss World 2014. 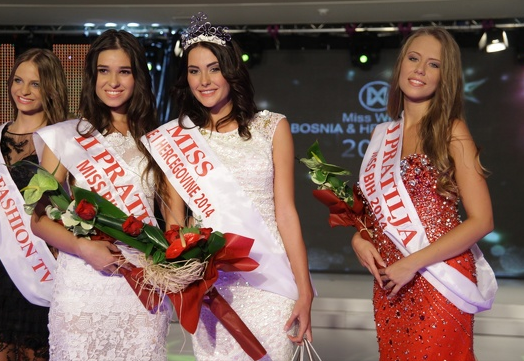 Miss Bosne i Hercegovine 2014 will be crowned on September 21. The winner will represent Bosnia and Herzegovina in Miss World 2014. Meet the contestants coming from Republika Srpska, Federation of Bosnia and Herzegovina and the Brčko District by clicking here. 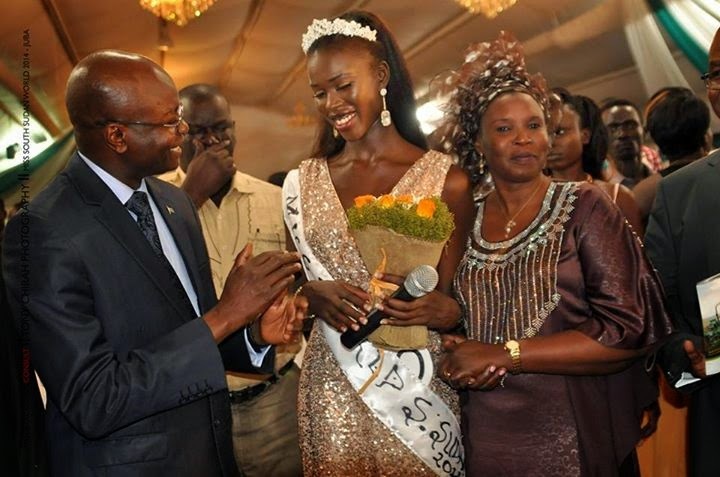 The Army of Uganda plans to take over the Miss Uganda contest to attract young people into the agricultural sector. The Miss Uganda contest was hit earlier this year after the main sponsor, Redds, withdrew their financial support to the contest. The pageant is expected to take place in December. 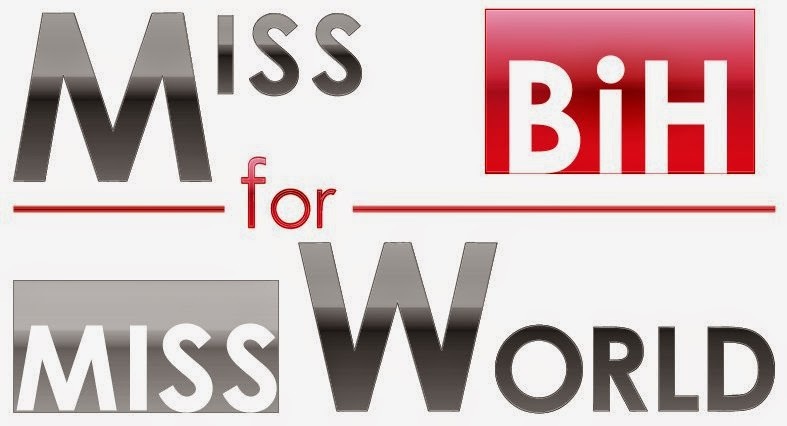 Therefore, Uganda will not compete in Miss World 2014.